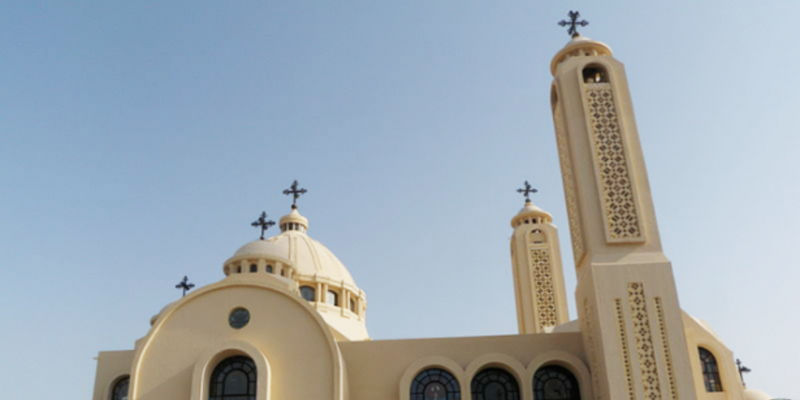 Egypt’s Orthodox Church released a statement objecting to the “complexities and obstacles” in the governmental amendments to a long-awaited bill on church building in the country, privately-owned Al-Shorouk reported. “The church was surprised with unacceptable amendments and impractical additions; and it declares that they will impose a danger on Egyptian national unity,” reads the statement, released on Thursday, following a meeting between representatives of the Egyptian church and state officials to discuss the church building legislation. In a phone-in with privately-owned television channel Al-Nahar, Ihab Ramzy, former MP and representative lawyer of the Orthodox Church, said that one of the main concerns is in regards to the first article of the bill, which identifies a church as a “building surrounded with walls.” According to Ramzy, this condition is “very difficult to fulfill in reality,” particularly in small villages. Ramzy points out that the definition of a church also does not include the existence of a cross or a bell, which he says raises fears of future complications if the erected churches have either or both. Another primary concern raised by the church is that the bill gives the right to approve or deny the construction of a church to the governor, without specifying any criteria to rely on. In case the governor denies permission, the case goes to the administrative judiciary, which usually takes between seven and 10 years to issue a judgment, Ramzy explains, stating that the bill must instead refer the situation to the urgent judiciary courts. “The mere fact that we are having a law for church building is a negative discrimination,” Ramzy concludes, calling for one unified law for houses of worship. Parliamentarians and Egyptian activists further criticized the governmental amendments, denouncing the government’s attitude and questioning its policies. In a statement to Al-Shorouk, Member of Parliament Margret Azer said, “I do not find an excuse for the government to disrupt the building of churches. Neither the constitution nor Islam itself opposes it. MP Emad Gad also criticized the government’s stance towards the issue. “The government policy has not changed toward the Copts,” Gad said to Al-Shorouk, adding that the government has not proved any will to eradicate the sectarian tensions in the country. “The House of Representatives must issue, in its first session following the present constitution, a law to regulate the construction and renovation of churches, in order to ensure the free exercise of Christian religious rites,” states Article 235 of Egypt’s constitution. On his part, the Minister of Parliamentary Affairs Magdi Agati announced in a press statement on Thursday that the government has yet to finalize the wording of the bill, Aswat Masreya reported.